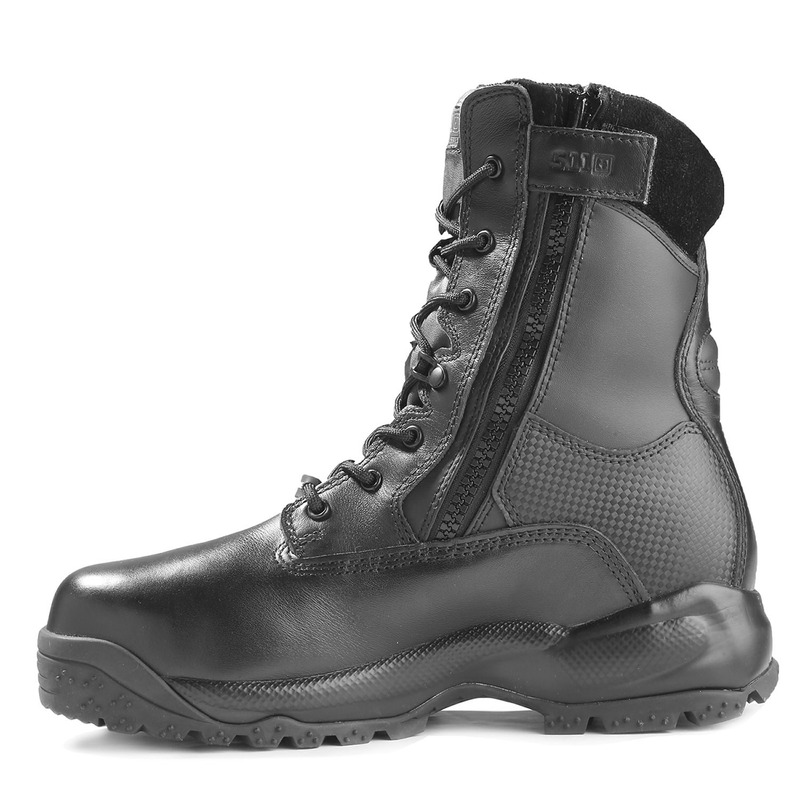 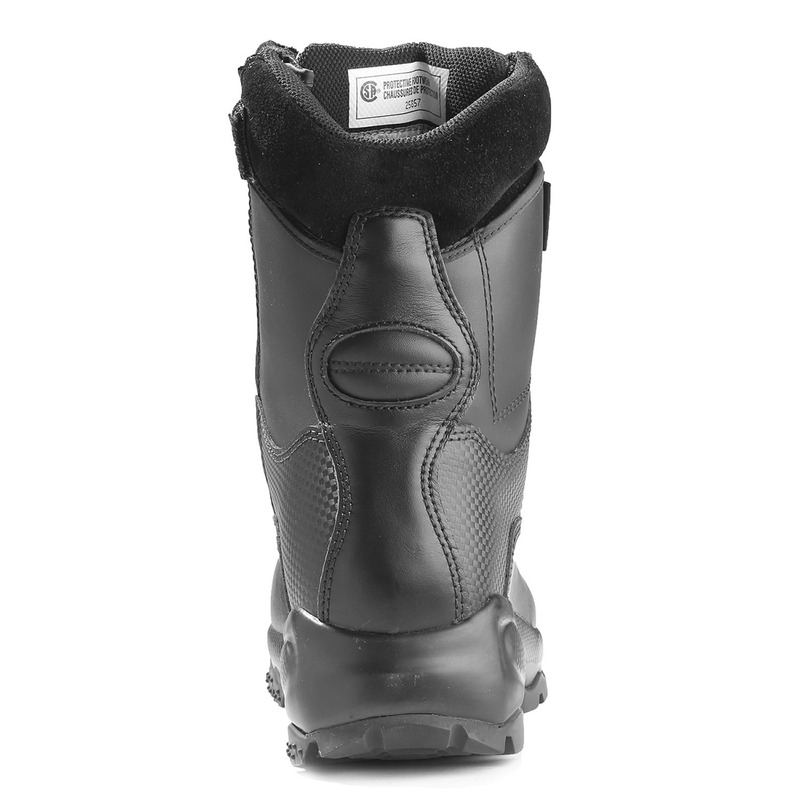 ATAC™ (All Terrain, All-Condition) Boots protect you from impact and keep you dry in most environments. 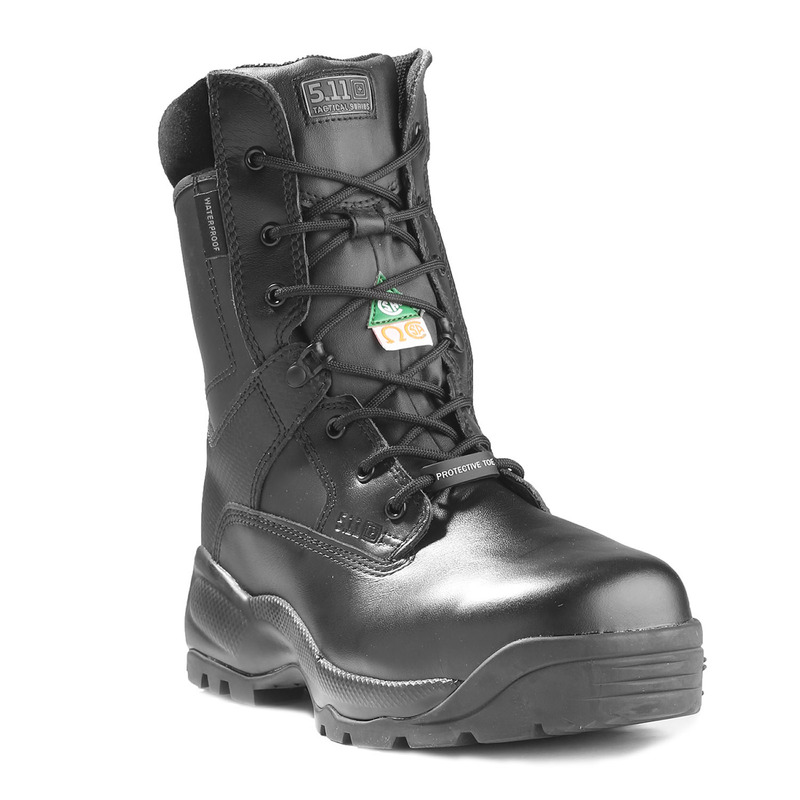 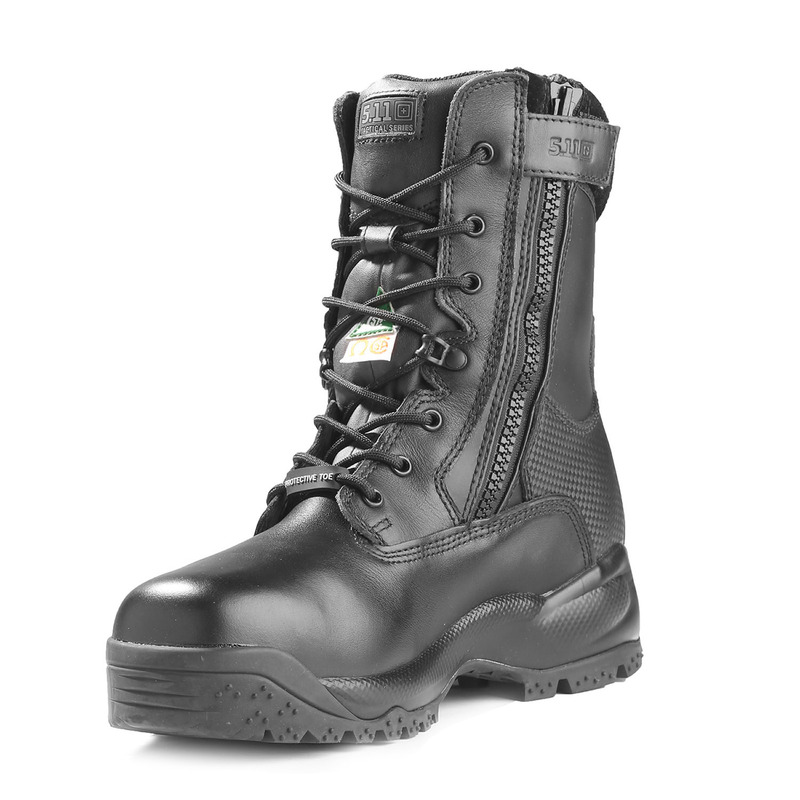 Built with a waterproof/breathable bloodborne pathogen resistant membrane, a CSA/ASTM certified composite safety toe and a puncture resistant midsole board the ATAC Shield keeps you safe and comfortable. 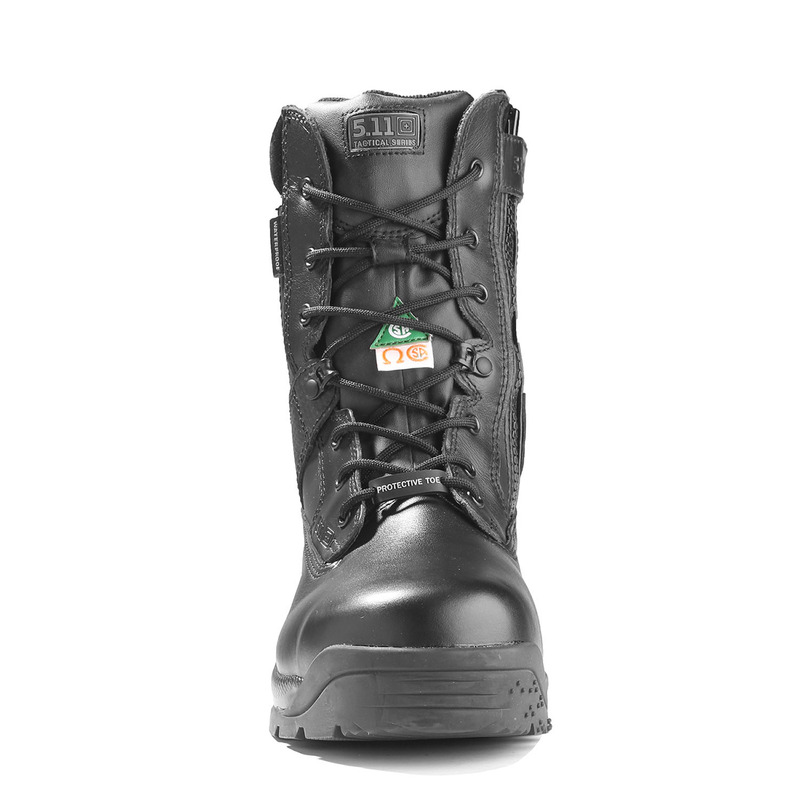 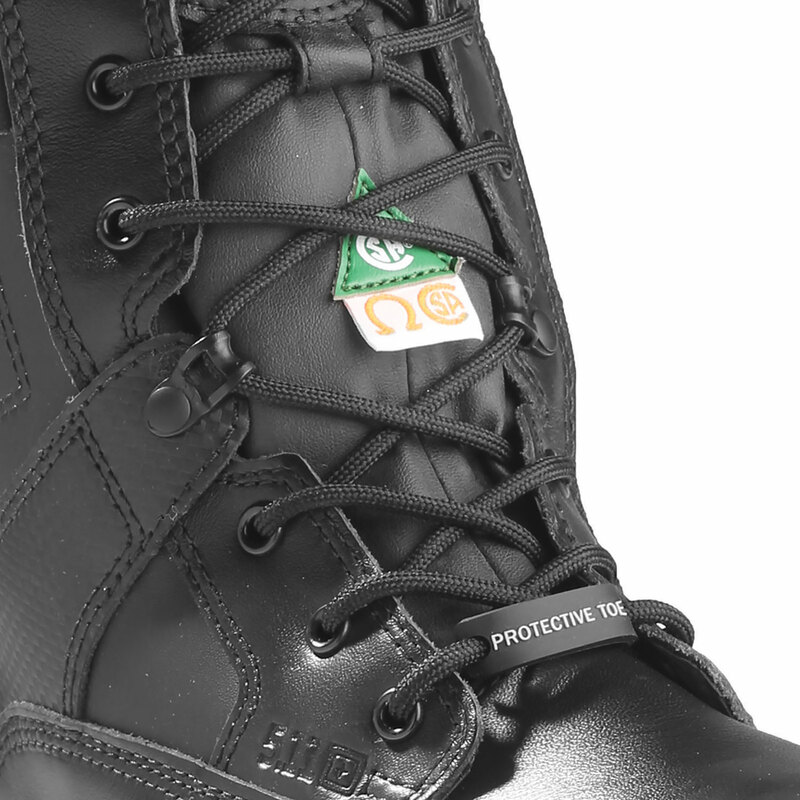 Also features 5.11’s Shock Mitigation System®, an oil and slip resistant outsole, anti-bacterial lining and side-zip functionality for easy on and off.